Sujata Massey is the author of fourteen novels, two novellas and numerous short stories that have been published in eighteen countries. Her novels have won the Agatha, Lefty and Macavity awards and been finalists for the Edgar, Anthony and Mary Higgins Clark prizes. 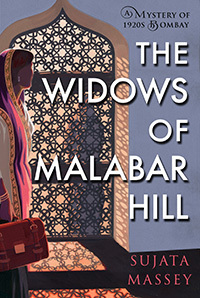 Sujata writes mystery and suspense fiction set in pre-Independence India, as well as a modern mystery series set in Japan. 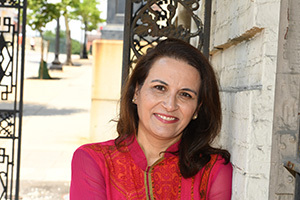 Born in England to parents from India and Germany, Sujata was raised primarily in St. Paul, Minnesota, although her home for almost thirty years has been Baltimore, Maryland. She earned a B.A. in Writing Seminars at Johns Hopkins University and wrote features for the Baltimore Evening Sun newspaper before becoming a novelist. Sujata welcomes correspondence from authors at her website; the Sujata Massey Author Facebook page; and on Instagram @sujatamasseyauthor. You can also learn more about the history and visual inspiration for her books at the Pinterest handle, Perveen Mistry Novels. 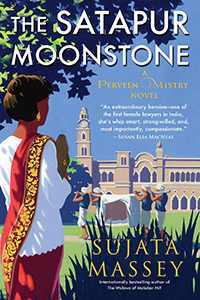 To get an occasional newsletter from Sujata with events, giveaways, recipes and other news, sign up for the Sujata Massey author newsletter.